German Foreign Minister Guido Westerwelle on Thursday called for a UN Security Council resolution to condemn the crackdown by the Syrian regime on pro-democracy protests. "The Security Council finally needs to send a strong signal to the leadership in Damascus to end the violence," Westerwelle said at the United Nations, before talks with his Russian counterpart Sergei Lavrov on the situation in Syria and the Middle East. More than 2,700 people have been killed in Syria's bloody crackdown since the protests flared in March against the regime of President Bashar al-Assad, according to the Office of the United Nations High Commissioner for Human Rights. 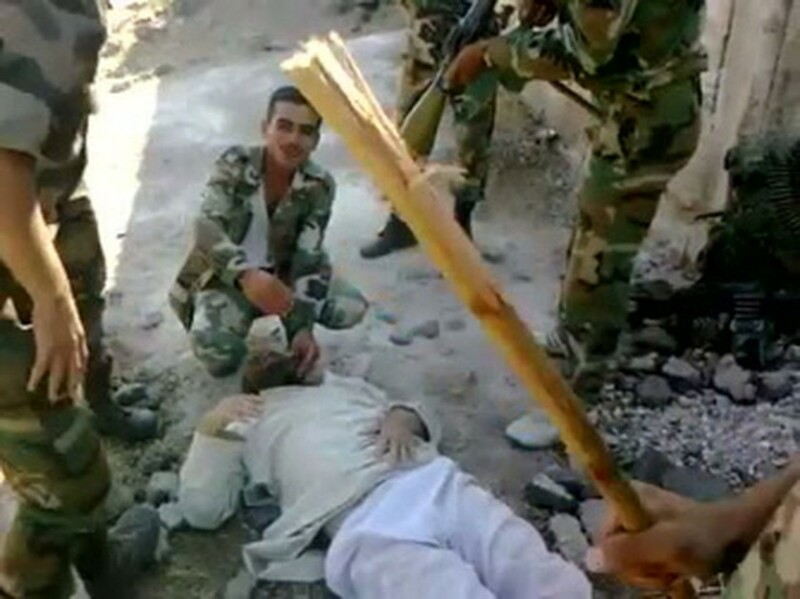 An image grab from footage made available on YouTube on September 22, 2011 shows what is described by anti-regime activists as the torture by Syrian government forces of a martyr named Louai al-Amer in al-Hula in the Syrian flashpoint province of Homs on August 13, 2011. US President Barack Obama on Wednesday called for UN Security Council sanctions on Syria, saying there was no excuse for inaction when people were being tortured and murdered by their government. "For the sake of Syria -- and the peace and security of the world -- we must speak with one voice. Now is the time for the United Nations Security Council to sanction the Syrian regime, and to stand with the Syrian people," Obama told the UN General Assembly. America's western allies have joined Washington in imposing sanctions against Syria, but Russia and China have opposed attempts to frame a sanctions regime in the Security Council and threatened to veto any such resolution.